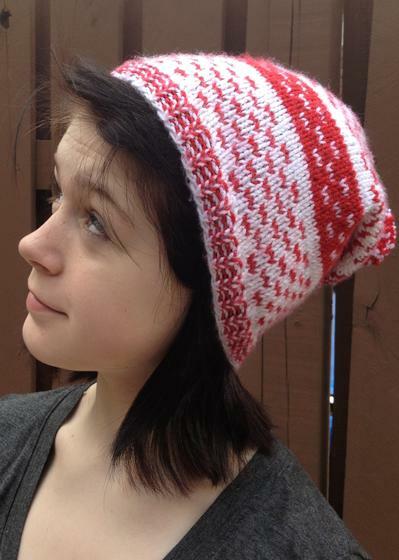 My daughter requested this cute ?not a beret but not a beanie? 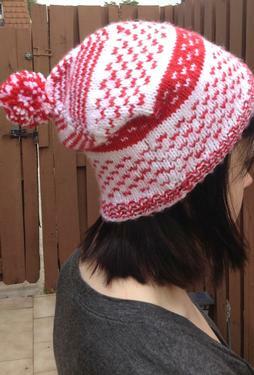 slouchy hat, and she loved the way that it turned out. 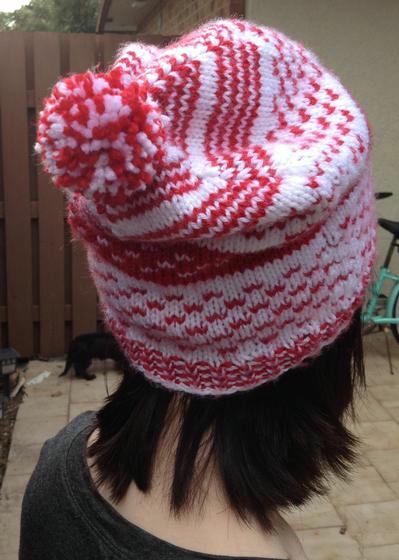 The two colors make for a simple stranded project that is great for those knitters who are just beginning to work with this technique. 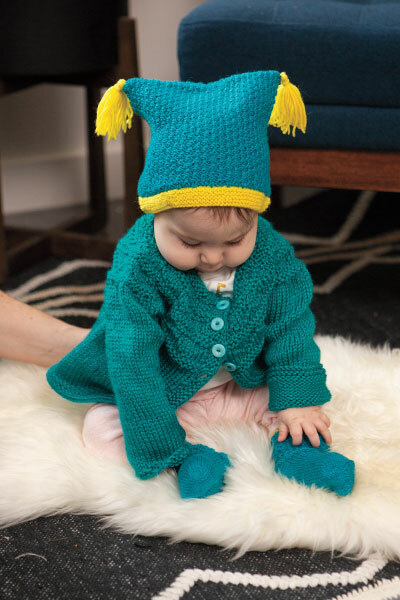 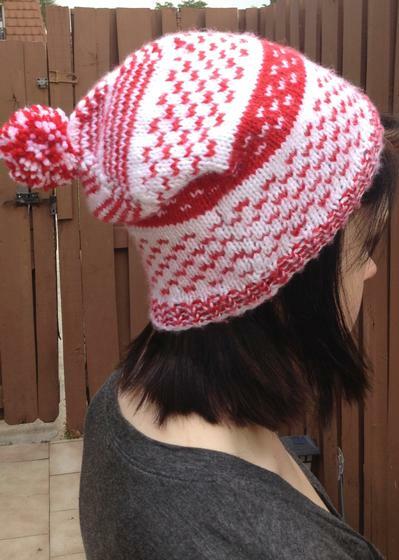 With a pattern that is written for sizes ranging from baby to adult, everyone in your life can have a cute winter hat while you perfect your color-working skills.